This entry was posted in Uncategorized and tagged bad situation, control, helpless, impotent rage, loss, pragmatic, stress by Nate Pratt. Bookmark the permalink. Breathing – and a punching bag – never hurt. Hang in there dude. Nate, I’m sorry you are going through another trial. I hope it will be somewhat reassuring to know that you are not alone. I can relate to mounting loses and the feeling that I can’t take another straw. I am a woman. I don’t need to be a man to have courage and embrace the storms in life. That doesn’t mean I won’t take a licking by the battering waves, torrential rains, hurricane force winds and the damage left in their wake. But with every storm I face, my taproot goes deeper. If I’ve learned anything valuable in life — it is to be like the palm tree. Bending during the storm doesn’t make you less of a man. It enables you to survive without breaking — without being uprooted. In sharing this, I don’t mean to minimize your plight. Only to say that I empathize and feel compassion. Thank you for having the courage to share so personally. Thanks so much for the kind words and for the analogy of the palm tree. Also, I apologize if in my post it seemed as if I was stating that women can’t possess the same qualities of a man, that wasn’t my intent at all. Anyone can be courageous or brave. Both fear and happiness are a choice. It was my dad that taught me that accidentally. I’ve no doubt that I’ll get through this with the help of one other person in particular, it’s just that I don’t feel I have much fight left in me, but sadly, there’s no one else to deal with this pressing issue. The inability to resolve the issue quickly or remotely close to not ruining vital relationships has me wore down. Thanks again for the kindness and hug. It helps more than you know! I’m glad you are not going it alone. I come from hurricane country, so I was always amazed that the palms were the main and sometimes the only survivors of trees in long droughts and catastrophic storms — especially if they were in groups. That is to say — don’t brave the storm alone. Sometimes these palms would bend to the point that they were laying flat on the ground during the storm, but would soon rise when the storm passed. I’m glad you are not going to your room to cry alone. In other words, that you are not isolating yourself during this trial. Even if you don’t share the details with us — and even if we can’t offer the help or solutions you need to improve your situation, we are still here for you, nevertheless, even if it’s just to read/listen and offer a few encouraging words. If you are experiencing excessive mind chatter that is affecting your sleep and focus, or if you would like to find ways to help you manage your stress during this time of hardship, I would be happy to share effective, non-invasive, no cost ways to curtail both stress and mind chatter. while improving focus. These methodologies got me through some serious rough spots. Feel free to email me if you’re interested. My email addy is located in my gravatar. I concur with Susan. Whatever it is, show it who’s boss. 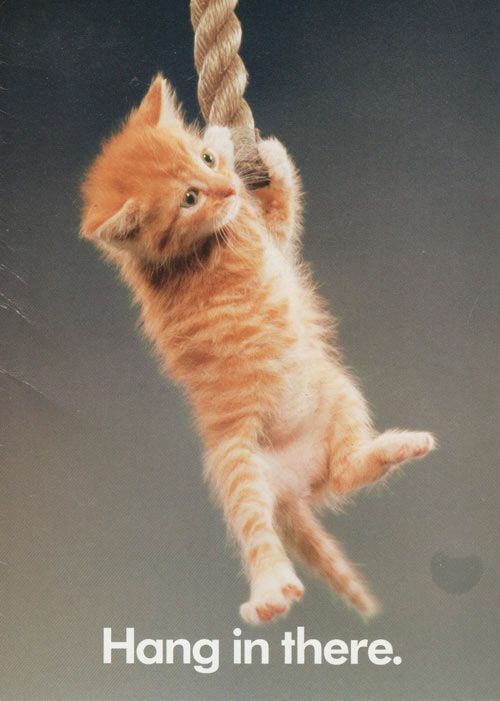 Yes, hang in there. We are thinking about you and hoping for the best possible outcome and strength to endure. With the deepest respect, Nate, I think your definition is slightly askew, bravery has nothing to do with being unafraid – there are rare cases of people with no, or a damaged, fear center in the brain – these people aren’t brave, just fearless. Bravery involves being scared sh*tless, but pushing ahead anyway, because it’s the right thing to do. Been there, done that, had to throw the pants away.